Whole Foods – A Wholesome Invasion? It's a standard of yuppies and inner-city health freaks, but the health-food supermarket Whole Foods is gearing up to conquer entirely new territories. And not just in the neighborhoods of the richie rich. Last year, Whole Foods landed in Downtown Detroit. Despite naysayers who claimed the chain's products would be too expensive for residents, the store is doing well. The store opening in Detroit is an example of the "smaller, urban" approach to expansion the chain is promoting. With "food deserts" being a hot-topic in activism right now, Whole Foods is trying to find new markets in impoverished neighborhoods. In order for these stores to succeed, there are two things to consider: cost and culture. The food must be affordable, and the customers must know how to use or cook with the food. Many new customers may ask - What do I do with quinoa? 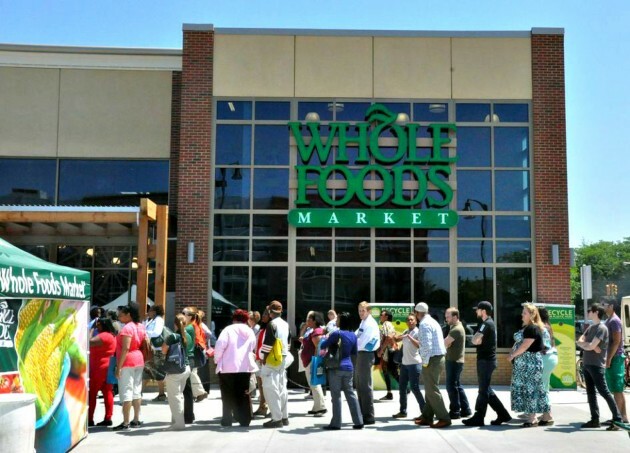 So far, the results from Detroit and Chicago seem to be in favor of Whole Foods. So will Whole Foods be the Giant of a health-conscious future? There have been a fair share of employee protests. While Whole Foods isn't WalMart, it's important to keep the company in check as it moves forward. If Whole Foods wants to move in to underserved neighborhoods, it shouldn't pick pockets when it gets there. The whole foods is so that people can afford the food but they also want people to know how to cook the food so that they don't waste it.